Salman Rushdie surprised everyone on Christmas Eve when he signed a declaration affirming his Islamic faith and calling for Viking-Penguin, the publisher of The Satanic Verses, neither to issue the book in paperback nor to allow it to be translated. Actually, this move is not much of a surprise, for it culminates Rushdie's recent efforts to get himself out from house arrest and back into normal life. But it will probably do Rushdie more harm among his friends than good among this enemies. Salman Rushdie, now a Muslim? The origins of the Rushdie affair are well-known. In February, 1989, outraged by the allegedly anti-Islamic elements in Rushdie's novel, Iran's Ayatollah Ruhollah Khomeini pronounced a death edict against both Rushdie and his publishers. Rushdie, who lives in England, promptly went into hiding. The last words to him came from writer Paul Theroux: "Keep your head down, Salman." For the next 22 months, Rushdie did keep his head down, slipping from safe house to safe house under the auspices of Scotland Yard's Special Branch. As months turned into years, Rushdie came to realize that unless he did something, he would remain forever in hiding, without freedom of movement, his wife or companionship. Khomeini died in June, 1989, and Rushdie hoped this meant he could resurface. But no: The authorities in Iran indicated that while they would not pursue the author with the old vehemence, Khomeini's edict would remain in place. In recent weeks, Rushdie seems to have become newly impatient. Declaring "I want to reclaim my life," he began testing the waters. He went on television and popped up in bookstores. Rushdie also made two points. First, he believes that the appearance last month of his new book, a children's tale titled Haroun and the Sea of Stories, rendered the ayatollah's edict obsolete. Calling The Satanic Verses "an old book . . . a finished story to an extent," he appealed for "putting a full stop" to the debate. On the grounds that "even the angriest person does not stay angry forever," he expressed optimism about coming out of hiding within a year. Second, maintaining that some Muslim leaders were coming around to his point of view that "a misunderstanding has arisen, a mistake was made," he engaged in dialogues that came to a climax with his signing the declaration Monday. But this is the sheerest wishful thinking. Far from being forgotten, The Satanic Verses remains a vibrant cause among Rushdie's enemies-and they are not shy about reminding him of this. The leader of Iran, Ayatollah Ali Khamenei, rejected Rushdie's efforts and, recalling the words of Ayatollah Ruhollah Khomeini, announced: "The verdict of Islam would remain unchanged even if Rushdie repented and became the most pious Muslim of the age." In case any ambiguity remained, the 15th Khordad Foundation formally renewed its 1989 offer of $1 million to any non-Iranian who murders Rushdie. On the second point, about a misunderstanding, Rushdie's declaration may persuade some Muslims that he did not intend to attack Islam; suppressing the paperback may appease them. But, clearly, those Muslims willing to meet Rushdie are not the ones that threaten his life. The threat comes from the fundamentalists who scorn an apology from Rushdie-whose execution they see as an ultimate act of homage to their ayatollah. Nothing Rushdie says or does will change the minds of these zealots. The threat against Rushdie, in short, is permanent. If abandoning his principles has not appeased Rushdie's enemies, it does cause severe disappointment to his allies. Only last Friday, Rushdie told an interviewer that it was a "sad mistake" that the paperback version was not published; three days later he let himself become party to that mistake. Those in the West and in the Muslim world who looked on Rushdie as a symbol of free speech are likely to be offended by his capitulation. Let us hope he will not give up more in the futile pursuit of resuming a normal life. An emotional Salman Rushdie "confessed" that he pretended to "embrace Islam" the religion of his birth, almost 18 years ago in the hope that it would lessen the threat to his life. ... 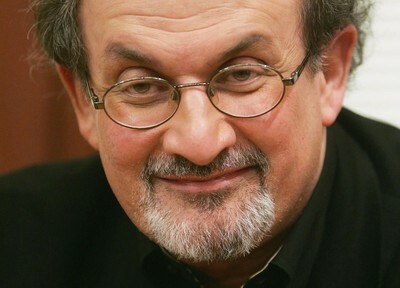 In an interview to be broadcast next month Rushdie claims his reversion to Islam was only "a pretence". "It was deranged thinking. I was more off-balance than I ever had been, but you can't imagine the pressure I was under," he said. "I simply thought I was making a statement of fellowship. As soon as I said it I felt as if I had ripped my own tongue out. It was the moment I hit rock bottom. I realised that my only survival mechanism was my own integrity. People, my friends, were angry with me, and that was the reaction I cared about," he said. Comment: My article from 1990 stands up rather well to this confession.